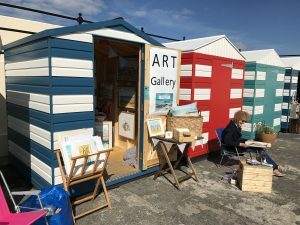 The NBHTA beach huts on the harbour esplanade will soon be opening again. We have huts available for rent for the 2019 summer season. These are available to local community groups or individuals who could benefit from a space to support their cause or display their products. Preference will be given to schemes which support the charitable objectives of NBHTA (found on our website www.nbharbour.org.uk) For further details please contact our Chairperson Jane; contact details at our website.